Walter Peyton, a Londoner who made his fortune as a captain of East India Company ships, came to live at Marlpit Hall in Sutton in 1617. He had married into the Sutton aristocracy, his wife being related to the Pudseys of Langley Hall and the Grosvenors of Moor Hall. He was elected Warden of Sutton Coldfield in November 1623, and on the nineteenth of March 1624 he issued a grant on behalf of the Warden and Society to Edward Willughby, brother of Percival Willughby of Middleton Hall. The grant gave Willughby permission to make two new pools in Sutton Park for a small annual rent. Where were these pools? The document says that they were next to Willughby’s meadow; this meadow was next to the Blade Mill (now Park House), so the probability is that the pools were needed to improve the flow of water to the mill. Several water mills were built in Sutton towards the end of the sixteenth century to take advantage of the expanding economy; the Park House blade mill dated from 1594. Simon Perratt built it as a commercial venture, but there were difficulties from the start. The mill was built at the end of the meadow (where donkeys from the Sanctuary now graze) on private land, but to fill the mill pond (whose earthworks can still be seen behind Park House) a leat had to be made across Park land to tap water from the stream below Keepers Pool (also privately owned). The Court Leet of April 1594 ordered “that Simon Perratt gentleman fill in his leat in Sutton Park near the pool called Blademill Pool or make it so that cattle can cross it before the next feast of Pentecost under penalty of forty shillings.” Cattle passed from one part of the Park to another through the gap between the meadow and Keepers Pool. 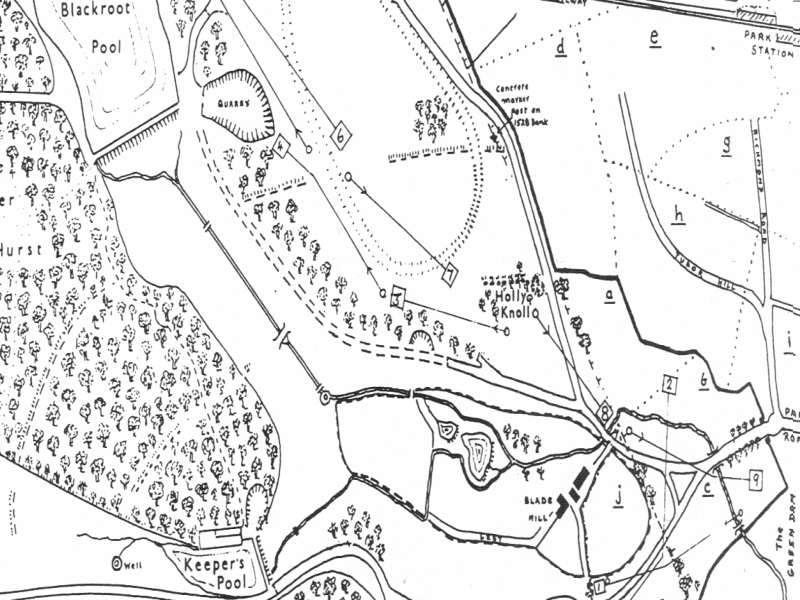 The flow of water from Keepers Pool proved insufficient, but to tap the much stronger stream from the Blackroot valley was problematic as it was at a lower level than the leat; the ingenious Willughby’s two pools solved the problem. Later in 1624 Willughby was elected Warden of Sutton in place of Walter Peyton, and Peyton purchased the Blade Mill from him. So where are these two pools? 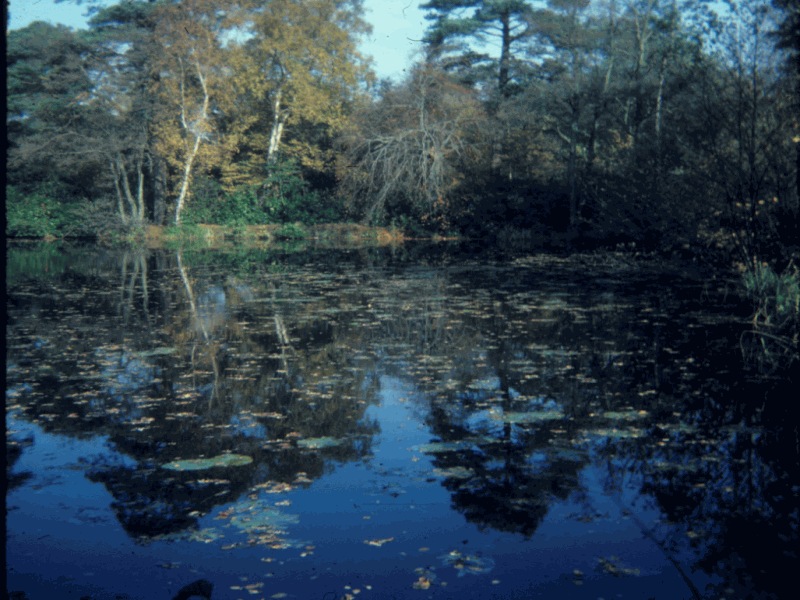 The two small pools in the part of the grounds of Park House which is now a nature reserve, and which was still part of Sutton Park until 1827, are on the opposite side of the meadow from the leat, but they may be the 1624 ones, controlling and diverting water from the stream to the leat. The mill site was deserted in 1678 (“utterly destroyed and gone”) when Peyton’s descendant sold it in 1678, but the property did include “the pools within belonging to the same”. Perhaps the catastrophic flood of 1668 destroyed the mill; it was rebuilt by the next owner, who solved the water supply problem by making a dam across the middle of the meadow to form a much larger pool fed by both streams.